Stops you in your tracks and kills creativity. I did a poll in the Facebook Group and by email last week – did you take part? There were a number of replies and one of the main issues I’ve discovered that holds you and others back with art portfolio for college application is procrastination. So as promised, I will use these topics to assist you. It’s useful if you can try to get a sense of what it is that’s making you delay, procrastinate and take action. From conversations I had with students last week, we discovered that this comes from a number of places. 3. Not having ENOUGH ideas! I’ll take them all, one by one that will help uncover each of these reasons. 1. 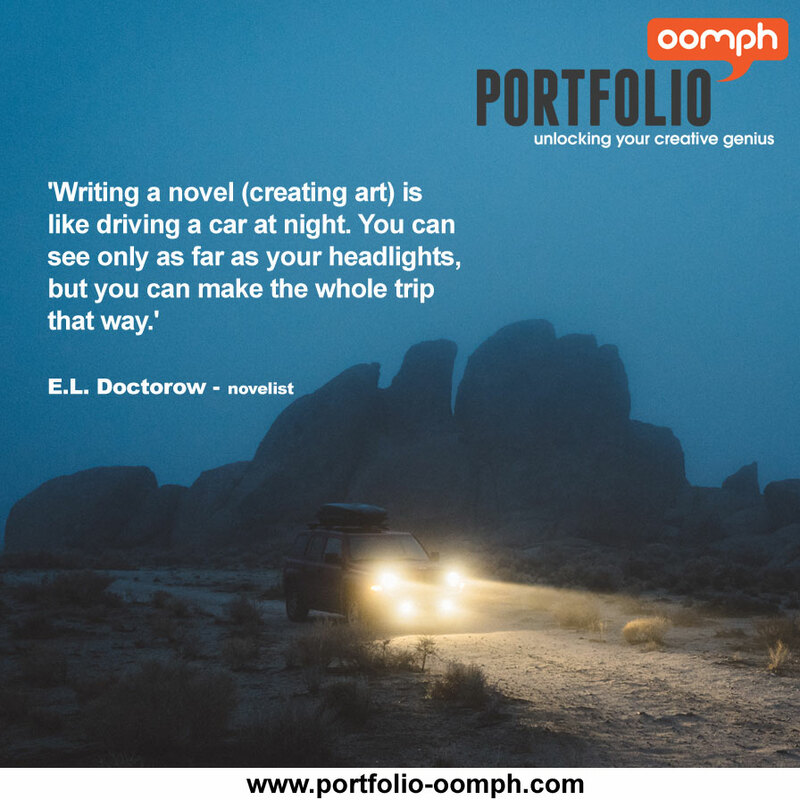 Having an idea in mind of what your final outcome will be – this is really one of the most common problems with portfolios as a whole and is the sole reason why I exist (as Portfolio Oomph!!) There is an abundance of courses out there that teach you how to do certain techniques and processes. But there is little in the way of challenging and guiding your creative THINKING. If you learn a technique, you still need to have something meaningful and worthwhile to do with that technique – an idea. Many students have a brief or a project, either set for them from school or set themselves a project, where they need to have a final outcome. And the main focus is on that outcome – be it a painting, a sculpture, a piece of textiles or fashion garment or jewellery. When we start to think about the theme/idea we limit our exploration, choices, vision based on what the final outcome prescribes. Therefore possibilities are acted out or ‘made’ in your head and then dismissed before they even get a chance to be explored. They’re branded as ‘that’s a rubbish idea’ or ‘that won’t work’. Who’s heard themselves say that????! GUILTY – me, of course! And I suspect you too! You’re driving to London (or any big city near you), in the dark with only your headlights and road signs to guide you. You don’t actually have to be able to SEE London – your headlights will never manage that. You only have to be able to see the road the distance your headlights light up. You can go on and on, with the road lit up each 30 – 40 feet. You’ll come to junctions where a decision needs to be made (in your artwork too) and these junctions form your final piece. You may find you end up in Paris, rather than London – if you’re following my analogy!! Paris might be SO much more exciting than London, but you would never have arrived there if you’d been able to see London from the start. Does that make sense? Paris and London are you final outcomes, finished pieces. The journey is your creative process that forms the final outcomes. Decisions will be made during your creative process that take you somewhere else entirely. Now it’s fine, well and good knowing what it is that makes you procrastinate. However, getting over this and getting started is the key. And this is what I do with my mentoring and PLAN CREATE SUCCEED. I ask questions, set tasks to take you along this route, this journey, rather than providing you with the destination. If this sounds like where you’re at and you need to talk about a way out, email me or call me now and we can set up a call to talk more to get your creativity back where it needs to be.